Brownie's YachtDiver was once again at the 2016 Fort Lauderdale Boat Show November 3-7. You could find us in Booth 33 at the Bahia Mar Main Entrance Tent and Booth 672 in the Superyacht Pavilion. 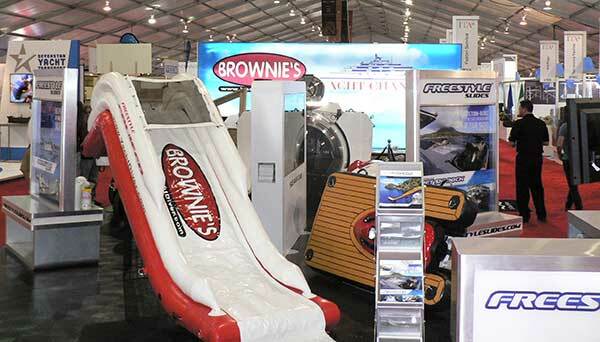 Brownie's YachtDiver featured Freestyle Cruisers water slides, Seabob Scooters, U-boat Worx submarines, Deep Trekker ROV's and all your favorite dive gear. More U-boat Worx Submarines info. 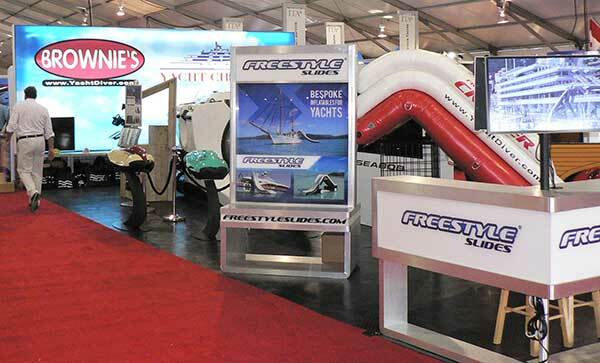 Freestyle Water Slides will be with Brownie's YachtDiver in the Super Yacht Tent to answer all your questions about their inflatable water slides for your yacht. 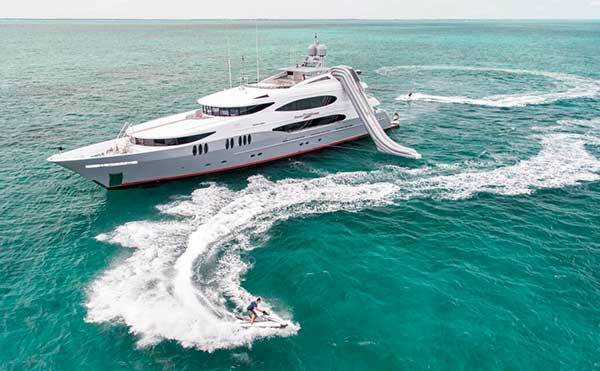 These slides are built in custom colors with your yacht logo to match. Brownie's YachtDiver had the newest in scooters, the Seabob F5 S. If you want as much fun on as well as below the water, check out the new Seabob F5 S Scooters. Lighter and faster, everybody loves the new Seabobs. German engineering is the key to these high quality fun machines. 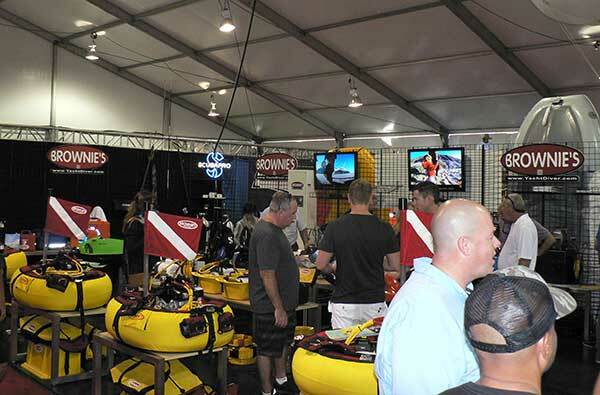 Brownie's YachtDiver will be featuring the all new Brownie’s Third Lung VS hookah diving system at the Show. This electric battery on demand air system is more efficient, quieter and greener than any gas powered system out there.